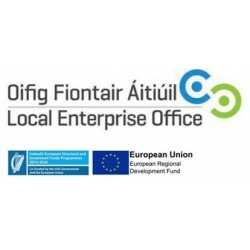 The Trading Online Voucher Scheme, through your Local Enterprise Office, will award you a grant of up to €2,500 or 50% of eligible expenditure to develop your Website, Online Shop or Digital Marketing Strategy. You pay half and your Local Enterprise Office pays half. If we don't sell what you paid, we'll refund your half! Only Pay us based on our performance. We'll provide you with a full Online Store and Marketing package. If, within 12 months, we don't sell the amount you have paid us for your website, we'll refund your half of the Online Trading Voucher.